The North end of Aberystwyth is dominated by Parc Natur Penglais, a Local Nature Reserve maintained by Ceredigion County Council, supported by volunteers. The old quarries of the 18th and 19th centuries are now covered by trees and plants. 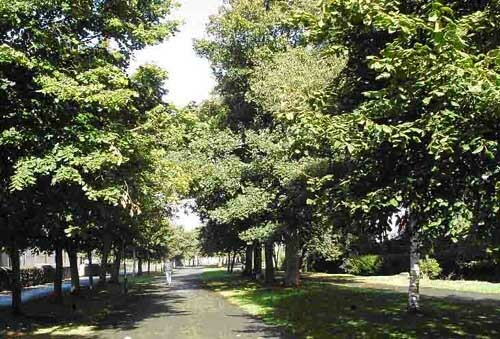 Old pictures of North Parade show it shaded by big trees, which have since disappeared. Their young successors are growing, but some trees (visible on the right of the picture) have died. 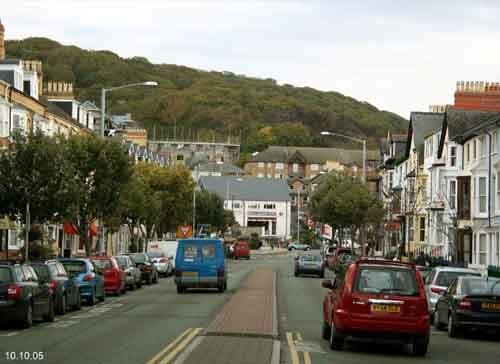 GAG has completed a survey of all the trees in the town streets, and sees replacing missing trees as a first priority. Portland Street has trees planted between parking spaces. About a century ago, the gardens on the left were the site of a stables, then a roller-skating rink, then a cinema. Grass, flower beds and cherry trees have taken their place. Plas Crug, a small park named after the old house which once stood at one end. People have walked here since the 18th century. Plas Crug attracts many interesting birds (see Newsletter 7) and a rare moss grows there (see Newsletter 4). GAG volunteers regularly clear the stream (see Newsletter 2). 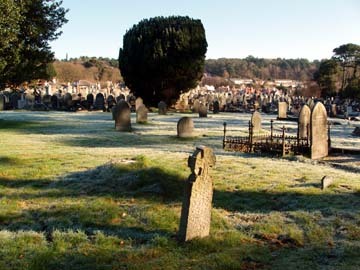 Llanbadarn Road Cemetery has social and historical importance, and is also a significant greenspace, rich in flora (see Newsletter 5). GAG members have prepared a management plan for the County Council, which takes account of all these aspects.